The Fisher & Paykel Humidification Starter Kit is a kit designed to introduce humidification to CPAP therapy. This starter kit acts as a passover humidifier in which the CPAP air will collect moisture as it moves through the filled chamber. 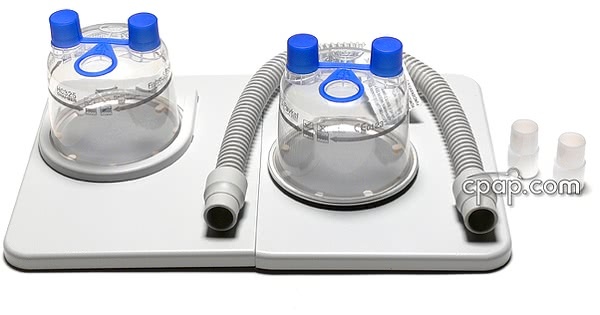 The Humidification Starter Kit is designed to make it easy for CPAP or bi-level users to be introduced to humidification. 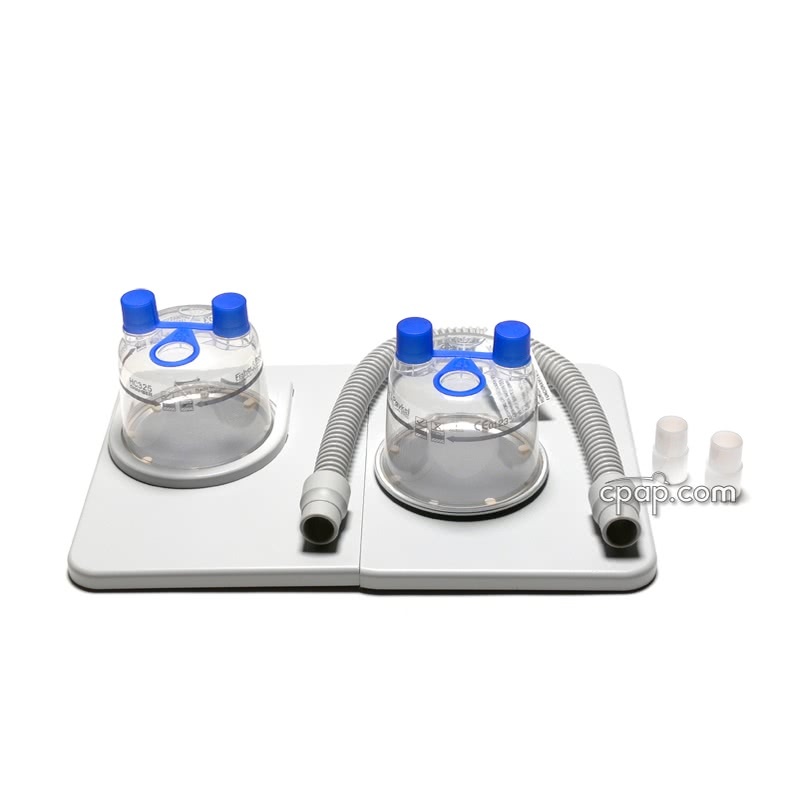 The kit can be used on its own as a cold passover humidification system. If higher levels of humidification are required, it can be easily upgraded to a heated humidification system. The HC150 Heated Humidifier and HC325 Humidification Chamber are easily attached to the 900HC007 Folding Tray. Total weight of Humidification Starter Kit: 1 lb 12 oz. When disconnecting the hose from the tank inlet, be careful to ensure that the hose is not holding water. Water could travel through the hose and into the machine.